The 6 Percent Rule ​by Gerald C. Wagner, Ph.D. The Landscape has shifted, and once again financial thought leaders are taking a very serious look at the Role of Reverse Mortgages in solid fiscally responsible, proactive, eyes wide open financial planning. The March 2014 Journal of Financial Planning says it all. “Historically, many seniors and financial planning professionals have viewed reverse mortgages negatively and considered their use only as a last resort. However, the three legs of the traditional retirement “stool” (Social Security benefits, pensions, and personal savings) have been considerably weakened by the factors described in this paper. But let’s take a look at what started the entire discussion. 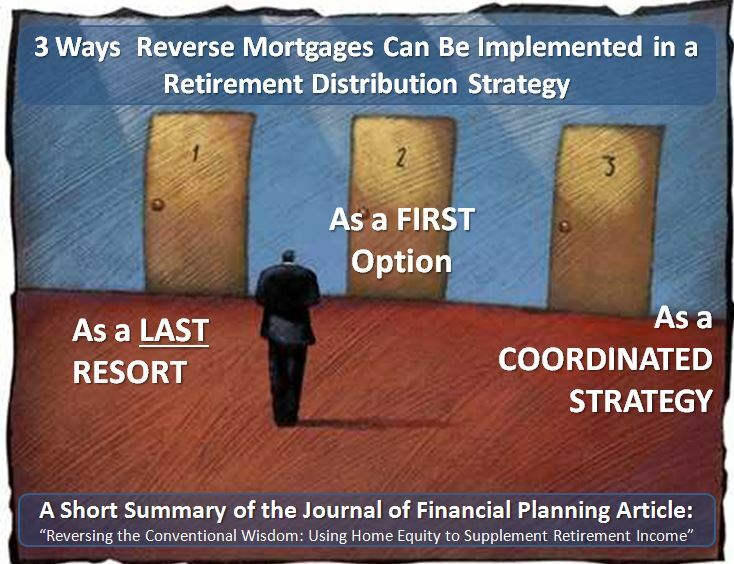 As a COORDINATED STRATEGY: Set up the Reverse Mortgage at the onset of retirement. But in the year following a down market, draw from the HECM. If the following years return are negative, draw from the HECM again. 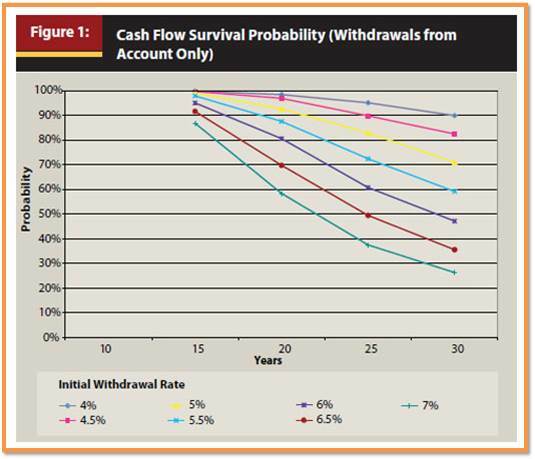 In the year following at positive performance, draw for the savings. Using the Reverse First Option or Coordinated Option gave the client a 94% success rate vs 70%. That statistical significance was overwhelming. Simply stated. 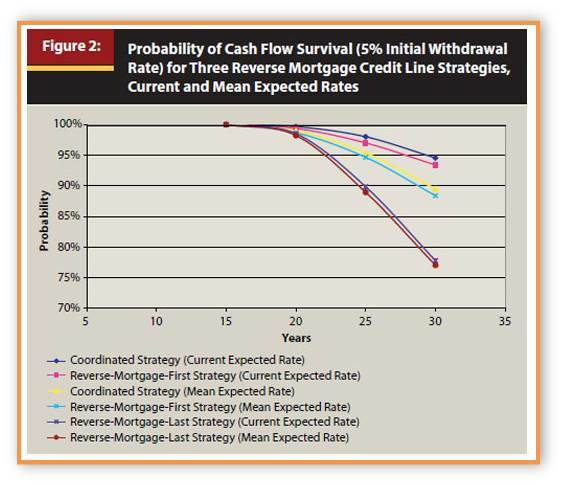 In their Research and through tens of thousands of simulations, they drew conclusive evidence that the best way to implement a Reverse Mortgage into a distribution plan was early and in a conservative and coordinated manner. Anything other than that for the majority of clients, was simply going to be the wrong this to do. And thus began the movement by the planning community towards a fresh look at Reverse Mortgages.